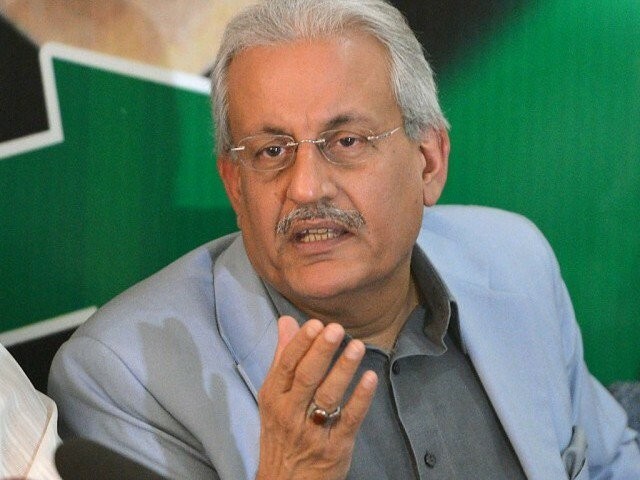 Senator Raza Rabbani took oath as chairman of the Upper House of Parliament on Thursday, Express News reported. “…I hope to come up to the expectations of those who have bestowed upon me this enormous responsibility,” said Rabbani before the oath-taking ceremony. 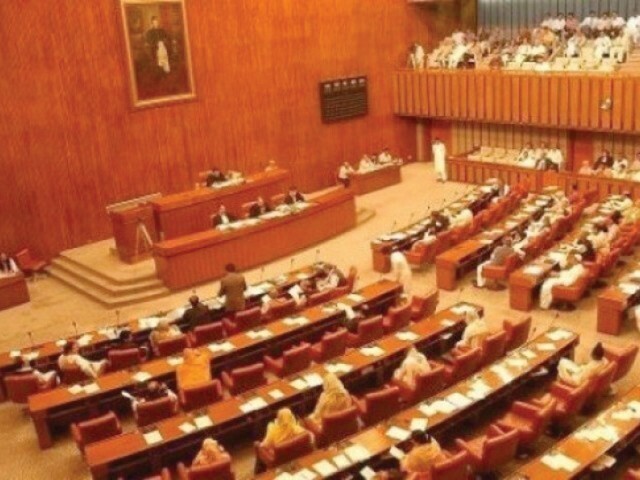 It is for the first time in history that the chairman Senate soon after taking oath will take charge as the acting president, as Mamnoon Hussain is on a foreign visit to Azerbaijan. Express News screen grab of the oath-taking ceremony. Prime Minister Nawaz Sharif congratulated Rabbani on being unanimously elected as chairman Senate. The premier said that the consensus reached in Senate elections shows how the roots of democracy have been strengthened in the country. Rabbani was elected unopposed as no other candidate submitted their nomination papers till 12 pm. Meanwhile, Jamiat Ulema Islam-Fazl’s (JUI-F) Maulana Ghafoor Hyderi took oath as deputy chairman of Senate. He won against Pakistan Tehreek-e-Insaf’s Shibli Faraz. 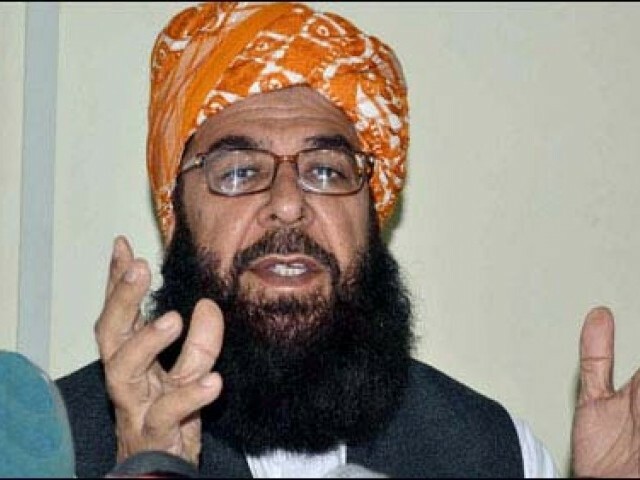 Early morning discussions and negotiations pertaining to the Senate’s deputy chairman position, Jamiat Ulema-e-Islam (JUI-F) Senator Abdul Ghafoor Haideri had been nominated for the post. After much deliberation in the sessions and after consultations with Prime Minister Nawaz Sharif, Senator Ishaq Dar said that the position would be allotted to a member of the JUI-F from Balochistan as suggested by Opposition Leader Khursheed Shah. 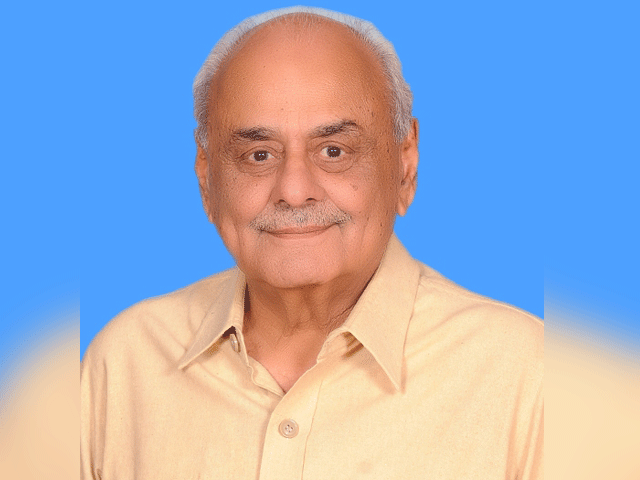 PM Nawaz will make the final decision regarding the post. Pakistan Tehreek-e-Insaf has also decided to contest the elections for the Senate deputy chairperson post, nominating Syed Shibli Faraz, Hafiz Hamdullah and Jahanzaib Jamaldani for the slot. However, later in the day Jamaldini withdrew his nomination for deputy chairman senate. The newly-elected senators took oath in the session this morning administered by Dar. Well well well…….the fan club party first drags the whole system and the parliament through dirt by casting aspersions and disparaging the whole system from on top of a container by calling it a den of rigged, corrupt, loan defaulters, fake degree holders, tax evaders and murderers. Lo and behold, not only did this joke of a party contest the senate election but it also took part in the chairman and deputy chair elections!! The hypocrisy just does not end there. PTI through Shireen Mazari filed a petition in IHC last week pleading that the contest for chairman and deputy should be put off. Imran Khan is the most confused person with the most distorted logic. Some of you seem to not understand symbolism..
Of course PTI knew their person was not going to get elected.